Our club is located just four miles outside Darlington in the village of Hurworth. The club caters for all people with an interest in things mechanical. 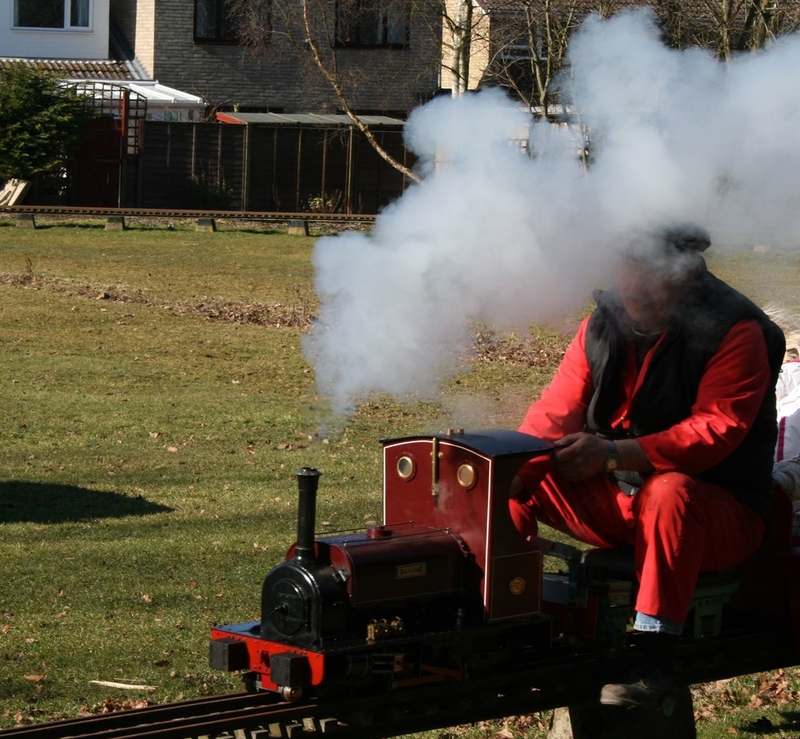 Whether thats just helping out, learning to driving one of the club’s engines or serious model engineering. We meet in the community centre basement (every Tuesday at 7pm), where a workshop is located. Members can learn how to safely operate Milling Machines, Lathes and other workshop tools. A community room with a library of engineering material is available where members can sit and chat about anything over a cuppa and biscuits. Members often continue discussions in the community centre bar. The club periodically invites guest speakers to talk about various topical things. and other workshop tools and equipment. So if you have any of the above, half built or rusting in a cupboard, and you would like help to restore or complete it contact us, we may be able to help. The Club has a multi-gauge (7¼”,5″,3½”) elevated circular track situated in the grounds adjacent to a small childrens playground. 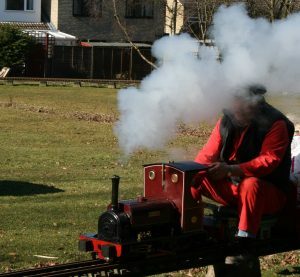 The track is used on the first Sunday of each month throughout the year and provides rides for members, friends and public (provided the weather is not too bad). During the summer months the club also operates the track every third Tuesday afternoon / evening for members only . The track can also be used anytime provided two members are present. We can accommodate visitors with engines by prior arrangement (phone secretary). We have a portable track which is used to provide rides at local events.